Authorities are trying to find out what made a city bus to go off a freeway ramp and land in the woods Thursday morning in St. Paul. 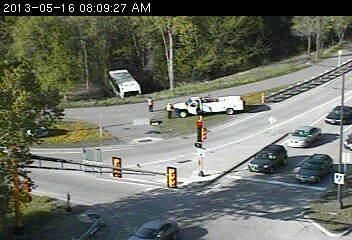 Minnesota Valley Transit bus 4461 went off the ramp from Shepard Road at 35E about 7:50 a.m. this morning, said Robin Selvig, a transit authority spokeswoman. There were no passengers on the bus, which was headed south from downtown St. Paul. The driver was not injured and will undergo drug and alcohol testing, which is standard procedure.